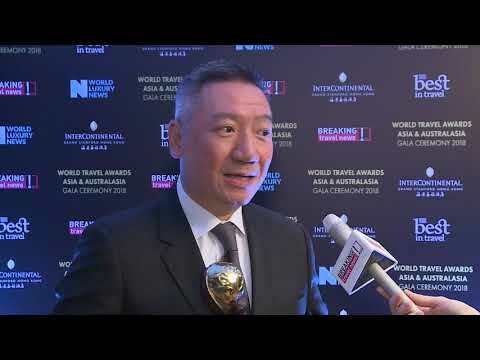 Taking the title of Australasia’s Leading Hotel Booking Solutions Provider, Norman Lui, regional vice president for north Asia at TravelClick, tells Breaking Travel News the title is the result of the hard work of his teams across the region. Amadeus has agreed to acquire TravelClick from Thoma Bravo, a private equity investment firm, for US$1.52 billion. TravelClick, which is headquartered in New York, is a global hospitality provider that serves more than 25,000 customers across 176 countries. TravelClick has partnered with performance marketing engine Sojern. The partnership will enable TravelClick’s digital media customers to drive more bookings by leveraging Sojern’s data-driven marketing optimization engine and its access to premium inventory. TravelClick has expanded its partnership with TripAdvisor to offer TripConnect instant booking to their iHotelier Web 3.0 booking engine customers. TripConnect instant booking makes it possible for independent hotels to generate bookings directly on TripAdvisor. TravelClick is now a certified TripConnect Premium Partner. TravelClick, a global provider of innovative cloud-based revenue-generating solutions for the hospitality industry, announced today that it has purchased TVtrip, the leading provider of video creation and distribution services for hotels around the globe, headquartered in Paris, France. Hoteliers are prioritising spend in mobile and social media in a bid to increase web traffic and bookings on-the-go, according to a survey by leading hotel market intelligence provider, TravelClick. Thoma Bravo, LLC, a leading private equity investment firm, announced that it has entered into an agreement to acquire TravelClick, a global provider of innovative revenue generating cloud-based solutions for the $500 billion global hospitality industry. Red Lion Hotels Corporation has partnered with TravelClick® to create industry leading web and mobile platforms for a dynamic and interactive travel research and booking experience that will forever change how guests interact with the brand online. TravelClick is renowned as an industry leader in designing and producing award-winning hotel websites. The days of rampant rate slashing should be behind hotels now. However, consumers are still searching for the best value when they shop. TravelClick, the leading global provider of revenue generating solutions for hoteliers, announced that on Friday, November 4, 2011, the company acquired EZYield, the premier provider of distribution management solutions for hotels. TravelClick®, the leading global provider of revenue generating solutions for hoteliers, and Travelport, a leading provider of transaction processing solutions to the global travel industry, today announced a multi-year partnership enabling TravelClick to sell Travelport’s Headline™ advertising, acting as an extension to Travelport’s in-house advertising sales team.